You will travel right by Aina Haina when you’re travelling from Kahala toward Hawaii Kai. Aina Haina is around ½ way in the middle of Kahala and Hawaii Kai on the Kalanionaole Highway. Aina Haina is a secret community with great schools, awesome shopping places and ocean scenes that can compete with anything you’ll find on other islands. Aina Haina is one of the older neighborhoods. Most of the homes here were built in the 50’s. Recently, many of these homes are being re-modeled with new floors, modern kitchens and large bathrooms. Since 2001, dozens of old homes have turned into new beautiful estates. -Homes in Aina Haina range from around $650k for a small home to over $17 million for a beachfront estate. Most of the middle class homes are priced between $850k and $1.7 million. -Aina Haina is about 11-21 minutes nearer to town than Hawaii Kai. When there’s traffic in the morning and evening, it can take 46 minutes to get to Hawaii Kai. -The lots, which are around 11,000 feet per property, are very large for Hawaii. On average, the lots in Aina Haina are about 26% larger than Hawaii Kai. -Aina Haina Elementary School is ranked one of the top schools in the state, year after year. 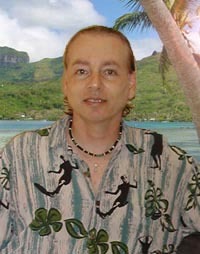 -There are great ocean views from high up on hills in the back of Aina Haina Valley. From the highway, you won’t be able to tell that there are many houses in Aina Haina. Still, the real estate is definitely worth checking out. It’s a little bit hidden, that most people have no idea how great the place is, and that there are a lot of ongoing improvements and renovations. A mile or two can completely change the value of a house here. Fortunately, Aina Haina has the best location. On the west end, there’s Kahala, and on the eastside, there’s Hawaii Kai. Both areas are very posh places with growing housing markets. Thus, the fact Aina Haina has not been noticed is quite shocking. Shopping in Aina Haina is super convenient as well. The Aina Haina Shopping Center has a supermarket, medical offices, a post office, two banks, a coffee shop, five or six restaurants, a toy store, surf shop and ice cream parlor. 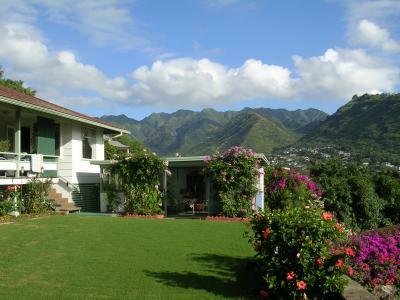 When searching for a property or houses in East Oahu, make sure that Aina Haina is on your list of selections. Listing courtesy of Forward Realty.